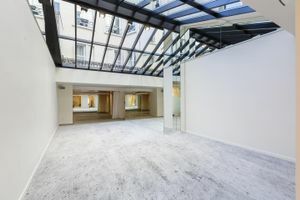 This exquisite space of in Le Marais, spread over three rooms, is optimal for showrooms, product launches and private sales. 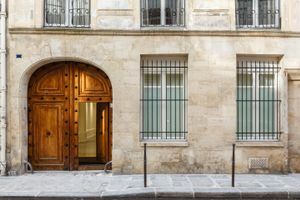 It is rare to see Parisian gates as majestic as the wooden gates that form the entrance to this space. With a chic white and taupe color scheme, the interiors are elegant and modern. 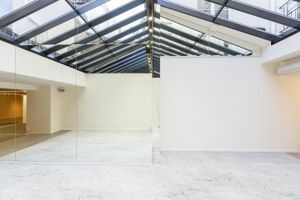 The space is adorned with a magnificent skylight through which a wealth of light flows as well as a storage area, a nice kitchen of stainless steel, large mirrors, and concrete floors. The space also has extensive facilities making it well-equipped to accommodate a variety of event types. 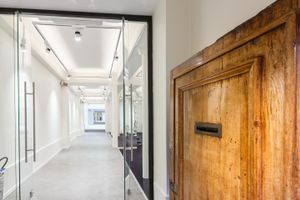 Located in Le Marais, close to rue des Archives, rue de Temple and and rue de Britain, it benefits from a delightful environment and is a prime opportunity for brands and designers to connect with customers in an intimate and sophisticate environment.